We stock all major brands of car tyres and van tyres, at great prices in our garage in Longton, Preston. We’re also pleased to be official approved suppliers of Michelin, Goodyear, Dunlop, B.F. Goodrich and Hankook Tyres. Our stock room contains a vast range of Car Tyres and Van Tyres, and also Cheap Tyres for when you’re on a budget. Suthers Star Garage offer tyres in Preston. look at the video on winter tyres. Wheel alignment, or tracking, is the process of ensuring the angle of a vehicle’s wheels are adjusted to the optimum position, as per the car manufacturer’s specifications. Motorists should be reminded that it is essential for safe motoring as incorrect alignment can cause tyres to wear quickly and unevenly and can upset the handling and safety of the vehicle. It is easy for a motorist to cause wheel alignment problems: hitting a kerb or jolting over a pothole are two obvious ways to cause complications. 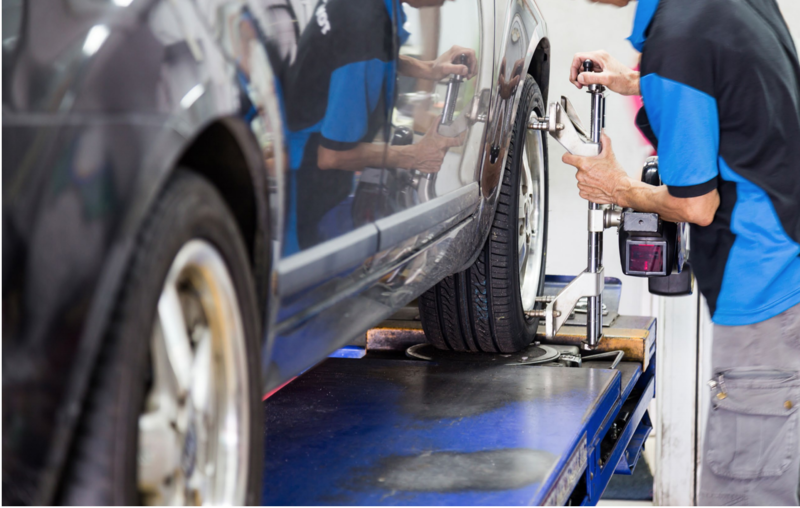 Drivers should be advised to get their wheel alignment checked annually or after any bump to the wheels and there are plenty of reasons to convince them to do this. • Tyres set to the optimum position reduce wear and tear which prolong the life of tyres. Misaligned wheels have more resistance on the road which leads to rapid and irregular wear of the tyre. This is not only dangerous but means the motorist faces the cost of purchasing new tyres far earlier than they would otherwise need to, not to mention the cost of fines and points on a license. In fact the ideal wheel alignment can extend the life of a tyre by up to 12,000 miles. Correct wheel alignment improves safety. Faulty wheel alignment can cause unbalanced handling and stability and can lead to uneven braking. Add to this any adverse weather conditions and a car can become tricky to steer accurately. Aligned tyres means a more comfortable ride as improper wheel alignment affects a car’s suspension and leads to a bumpy ride. Perfectly aligned wheels save fuel and reduce pollution. More resistance on the road surface means the car uses more fuel to move forward.